Friday dinner date anyone (with kids)? Yep, my wife and I are just like ALL of those parents that look back and say they enjoyed going to restaurants before having kids. Now that we have a kid? It’s still a nice idea…on paper. Do we do it? not often. To be fair, our 20 month old son IS well behaved, but getting to that point has required constant effort. Looking back, it starts at home, during every meal. We (used to) love Friday night dates! Now what with kids? Weekly Sunday brunches… in your dream! 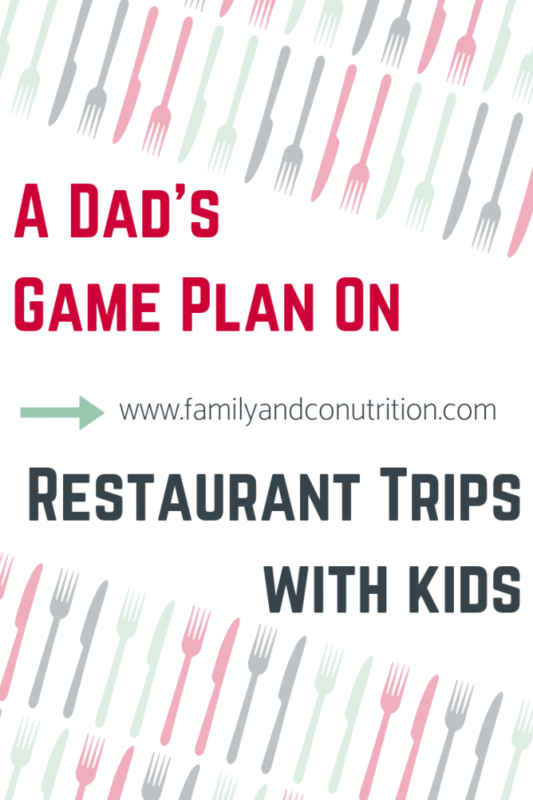 Whenever a restaurant outing comes up, my automatic thought is still “It could be nice for a change, but it’s not worth the hassle.” I believe my wife agrees, and this is why we still err on the side of takeout and pyjamas for AFTER our son is in bed. What? I’m not going to lie and sell you this perfect image of the three of us going to weekly Sunday brunches…maybe one day! No, we are not living that dreamy life of drama-free weekly Sunday Brunches. Your choice vs a required social event? 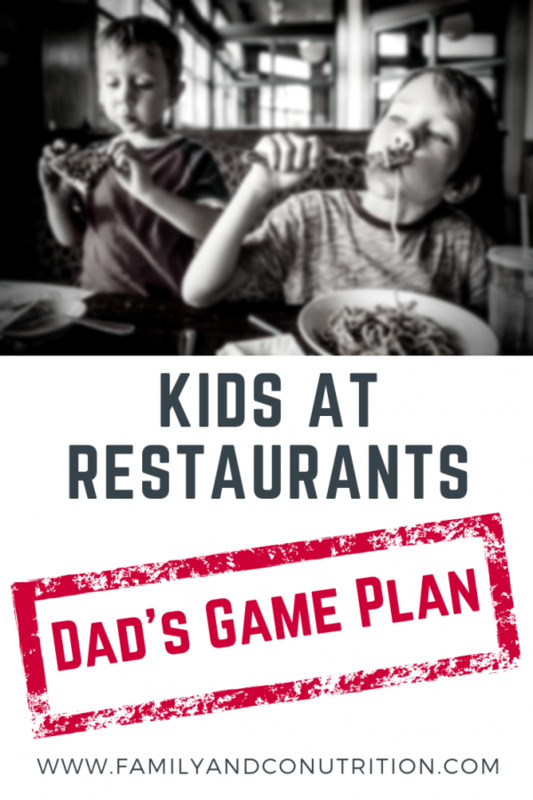 To me, the relative difficulty expected during a restaurant outing with kids depends on WHY we are going in the first place. The best case scenario is that you CHOSE to go out for leisure. Now pardon my science geekiness, but this is like a well-controlled study where the scientists have conducted their work under the best possible conditions. On the opposite end are occasions where we either MUST attend a restaurant-based social engagement, or don’t want to miss it (i.e. celebrating a friend’s engagement). These situations are far trickier because you don’t have much control over the conditions under which the event takes place. Still, if you keep in mind some of the points outlined below, then you will surely improve your odds of a successful restaurant outing. 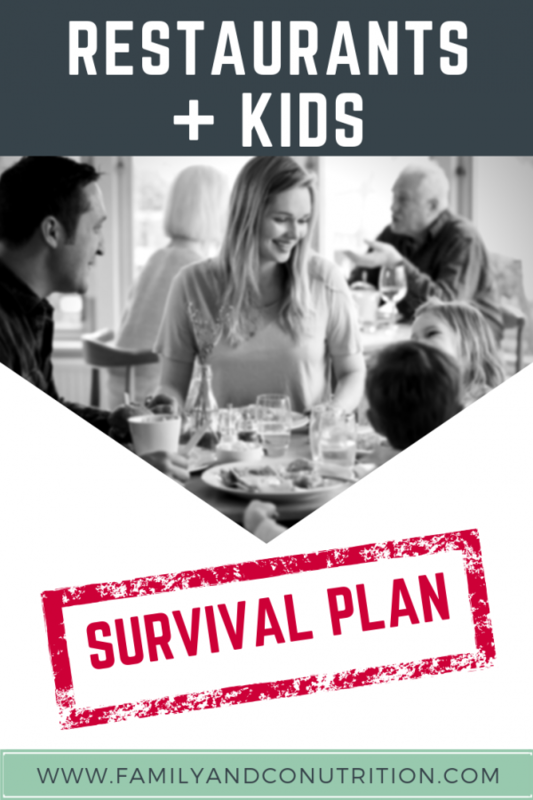 Just for fun I will deviate from the classic “X-number Tips on Eating Out With Kids” style blog post. I like sports, so let’s look at it through the lens of a sports coach. 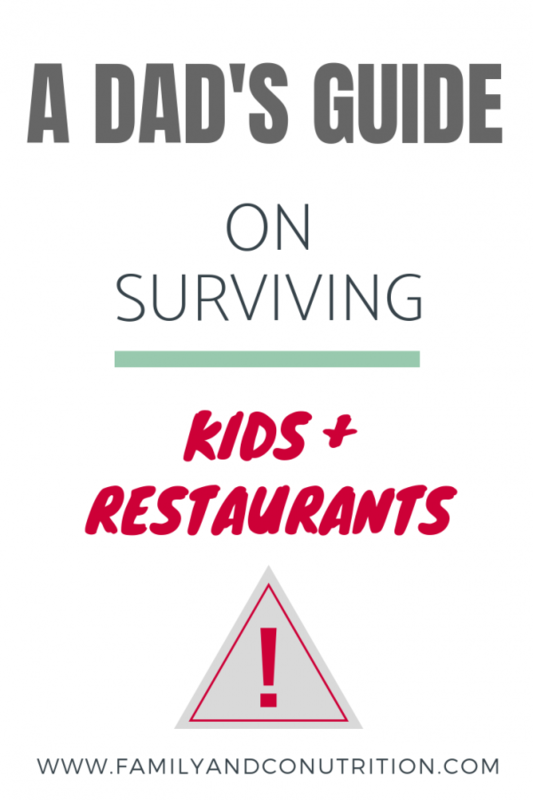 What to do: before, during and after going to the restaurant with kids? 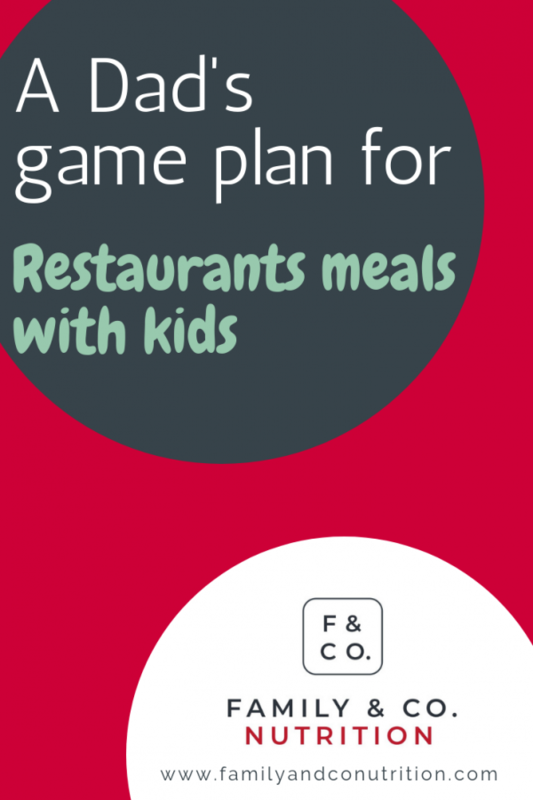 If you only take one point away from this, it is that HOW you conduct mealtimes at home everyday will have a massive impact on how your kids handle restaurant mealtime. 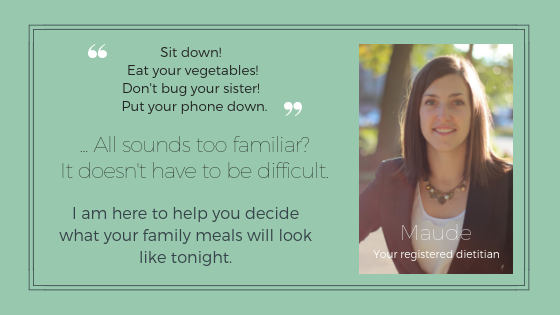 Think of each family meal as daily training sessions. After all, YOU (dad and mom) are coaches for the family team. Ideally, with each training session your children are learning, developing proper eating habits, and honing their skills at the dinner table. 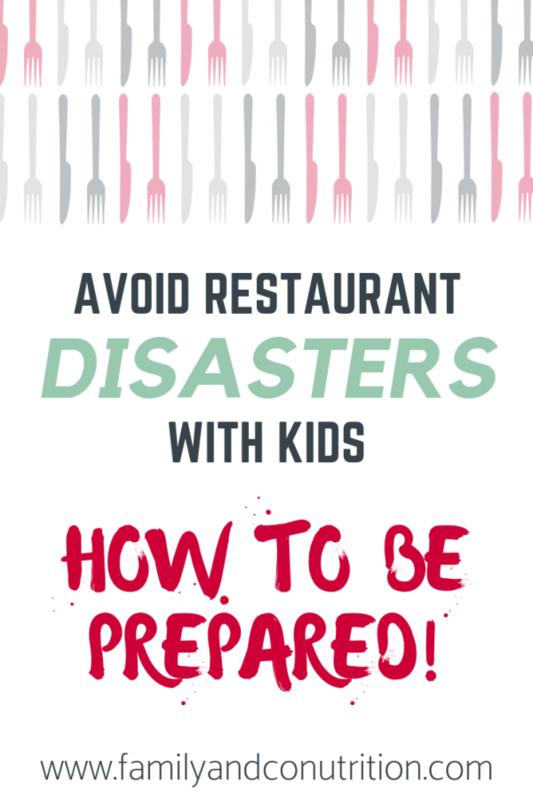 If you haven’t sorted out family mealtime at home, then don’t be surprised if you experience chaos when out at a restaurant…you haven’t put the odds on your side! This is why I place the most emphasis on the “pre-game” stage; preparation is key! My wife largely handled the intro to solid foods when our son was ~6 months old. I viewed her as the expert, and it was going quite well, so I took on more of an assistant-type role during mealtimes. That was fine until I was running the show solo. I realized I needed more practice on leading/guiding our son through his meal, looking for signs of hunger or fullness, asking the right questions, etc. I lacked confidence and felt I had to copy my wife’s exact approach for consistency… but I didn’t know how to because I wasn’t as involved as I thought. Over time I developed my own style of leading mealtime with my son, and it’s a lot more fun since we have our own rapport. It comes back to being involved and being a leader during daily meals because nothing beats experience. Parents taking turns to lead mealtime is a good way to develop unique strategies and train both parents and children. 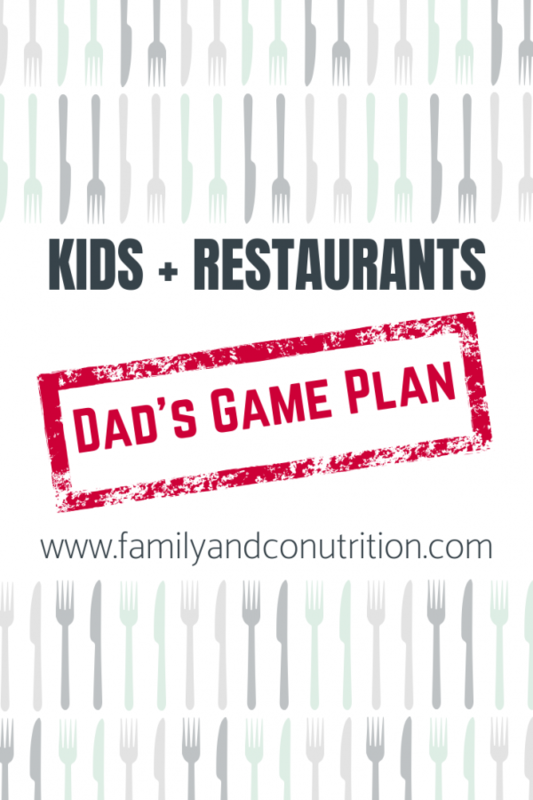 Okay, so lets assume you have this mealtime routine down, and your kids not only eat well, but understand the mealtime rules you set at home. What else can you do to maximize your chances of a successful restaurant trip? YOU define what successful means for YOUR family. Run through this pre-game checklist BEFORE you decide to haul your family and half of your house to a restaurant. This may involve doing a bit of homework on the venue of interest, or asking the event host some focused questions if it’s a group event. The findings/answers should determine whether or not you go. Yes, this is the PREVENTATIVE stage… as in you are preventing a disaster from happening, or saving yourself from a headache and potential embarrassment. Do you or your kids have special dietary needs or food allergies? 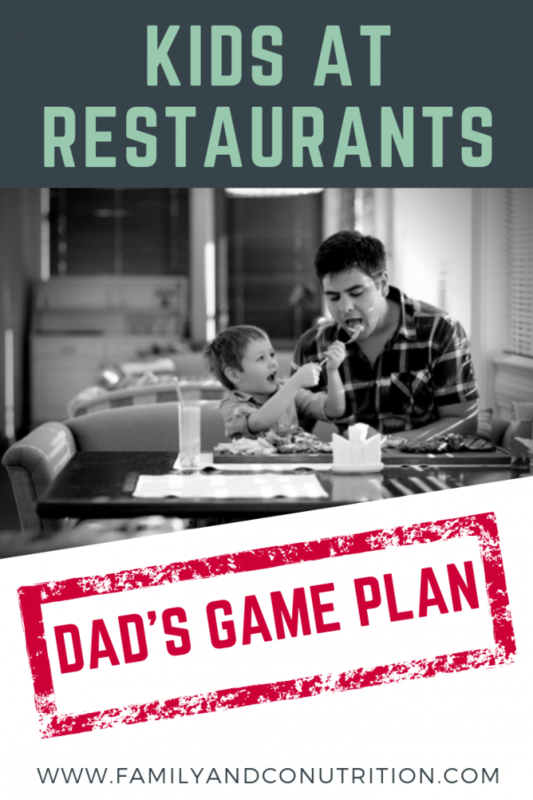 Call ahead to ensure the restaurant a compatible option and appropriate food selection for your family. Do you have the option to decide what time to go out? Taking a tired toddler out when they should be either napping or asleep for the night is a bad idea. It not lowers the threshold for a meltdown, but can also affect their routine which means you’ll be paying for it the following day(s). Consider what time works best for your kids; off-peaks restaurant hours can also help mitigate the chaos factor. Are the food options engaging? Go online and check out the menu. Cuisines like Indian food or Korean barbecue require more than just eating single-chunks of food. This is great if your kids are old enough because it engages them, especially if they need to build each bite as it encourages mindful eating and allows them to be creative (yes, this can also backfire and be messy, so just know what works with your kids). Forget “kids menus” (aka chicken nuggets and fries! ); share food and try new dishes out! How are YOU feeling that day? Don’t be afraid to cancel. If you’ve had a long and stressful day, or feel like crap, you can always change your mind. Remember, kids are smart and can sense when something is off. Whether they react by acting out, or you have a low fooling-around-tolerance, you don’t want to flip out because you’re saturated from the BS your day has thrown at you…that’s fun for no one. It may be disappointing to cancel a reservation or on a friend/colleague, but think of the potential headache you are saving yourself from. How does the drinks menu look? Okay that’s a joke!…kinda. I’ll take a gin and tonic please! If you know your kid, you know the wild card. What is the ONE thing you know you should address before embarking on a wonderful restaurant dining experience? For my son, it is respecting his sleep schedule AND pre-feeding him a small snack. Taking a hungry kid to a restaurant (or anywhere) and watching servers walk by with other peoples food = toddler meltdown. Entertainment bag: Pack a small entertainment bag/pouch with a few different toys (Lego rocks!) and colouring books. Be prepared to play games like “I spy” or even sing a few of their favourite nursery rhymes. If your kids are old enough to talk, try to stimulate an exciting discussion like where your next family vacation should be (warning: you may have to deliver on any promises you make). The point is you want a deep arsenal of tools! A lot of this stuff becomes second nature over time, especially if you are involved in mealtime routines every day. As they say, “the devil is in the details” and this is no exception. The more invested you are in raising sound eaters, the easier going out becomes. If you knowingly take your kids out somewhere in violation of the points above, then you have only yourself to blame because your kids are relying on YOU to make sound decisions. Alright you’ve arrived at the restaurant and are excited for a wonderful meal that YOU didn’t have to cook. You’ve tackled the pre-game checklist…you’ve got this! We are strong believers that if you’ve set up the correct conditions, then MOST things should fall into place. You can’t predict everything…it’s stressful and takes the fun out of going out with kids. This explains why I often feel going out is not worth the hassle because I struggle with anticipation anxiety. Actually, things usually go quite smoothly, and I remind myself that balance is important in life, so let’s get out and have fun! At the restaurant, consider some of the points below to help optimize mealtime proceedings. Most of these are common-sense things that you may not have considered important in your pre-kid life! Place your order quick: Looking at the menu ahead of time helps. Ask for the bill BEFORE the meal is over: Especially at busy restaurants since it gives your server enough time to sort out the bill before the meal is over. Feed yourself and your kids at the SAME time: You only need four hands! For young kids (6-12 months) that need help with solid foods, you will have to be more hands-on. But! don’t ignore your own meal just to feed them. Alternate between eating your own meal and helping them. Otherwise you will eat a cold meal once the kids finish, and they will still need to be entertained. And again…that’s not the point of going out to a restaurant, you are meant to ENJOY. Encourage autonomy: If your child has been eating well on his/her own at home but needs a bit of upfront help (i.e. cutting up chunks of food), spend some time to help them get started and encourage independent eating! Remember, try not to freak out if things get a little messy…be prepared with a bib and damp cloths! Remember to use your entertainment bag: If you packed a little bag/pouch with toys, books, and/or small games remember to introduce these items at strategic times (i.e. once you’ve ordered and are waiting for food). Re-enforce the same rules that you do at home: Be consistent because it helps send your kids the same message over-and-over…until they become mindless zombies! Make positive statements when they demonstrate good behaviour because taking a moment to acknowledge it can help build confidence. Know when to wrap it up…or escape! 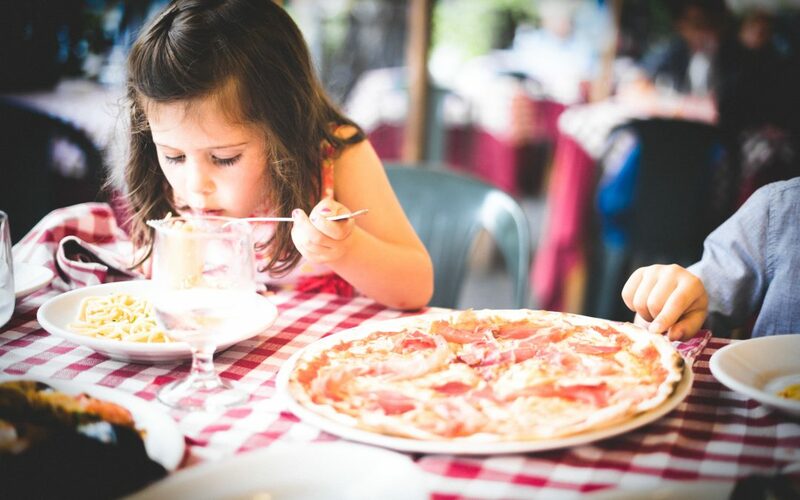 If you are at a group dinner for example, you may get caught up socializing, but pay attention to signs like your kids getting tired so you can wrap it up. Ideally you are monitoring the situation at regular intervals to avoid any impending disasters. As a final perspective, don’t be swayed by peoples opinions or comments when you are out dining. When you enter the parenting world it seems everyone wants to drop their two cents, share stories on how THEY did it, or make useless comments. Just focus on doing your best and enjoying. If things aren’t going perfect, most people will be empathetic and try to help…especially if they have raised kids. As the saying goes “opinions are like belly buttons: everyone has one, but doesn’t mean they are helpful for anything.” You know what is best for your family! A conscious effort might be necessary to ignore other people’s comments: you know what is best for your family. A time of reflection, a moment of elation, an opportunity to savour the successful restaurant trip and be proud as parents! Or maybe you’re just hanging on until you reach the car, a.k.a, the family safety bubble that contains meltdowns, messy kids, and offers a safe haven for parental-venting. Whether the meal went amazing or was a complete disaster, calmly discussing the good and bad points with your partner is absolutely important. When the time is right (i.e. during the drive home, before the kids are in bed, or at family breakfast the next day), you can reinforce the good behaviour your kids demonstrated to help build their confidence. You can balance it by discussing where they can improve on, and how YOU as parents will help them. The net effect? We hope you won’t think family outings are a drag, or not worth the headache. If you are looking for guidance tailor-made for YOUR family, don’t hesitate to get in touch with us – we are here to help! 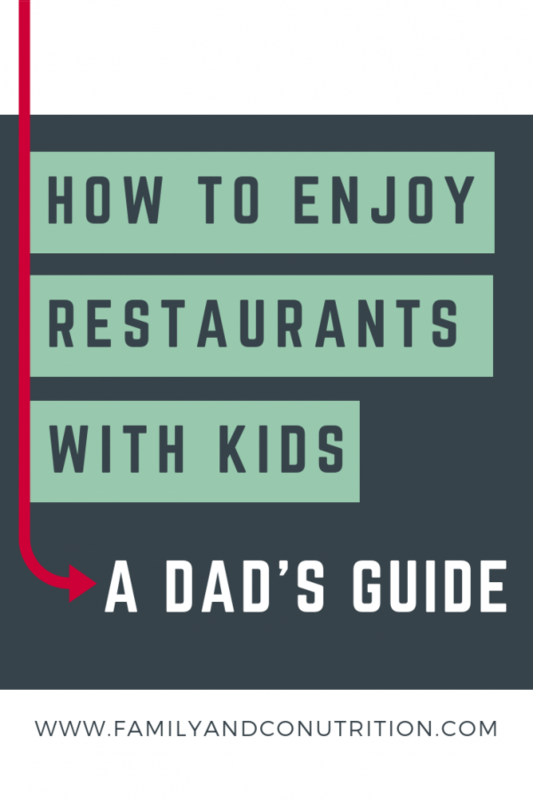 What are your views on taking kids to restaurants? And do you have tricks to make it a pleasant adventure? A safe pregnancy includes appropriate food intake, meeting nutrients requirements, avoiding risky food items, and ensuring the safe handling, storing and cooking of food. What should your prenatal multivitamin contains to ensure you and baby have everything you need? What causes food cravings during pregnancy? What are the most common cravings? Should you indulge in your cravings?